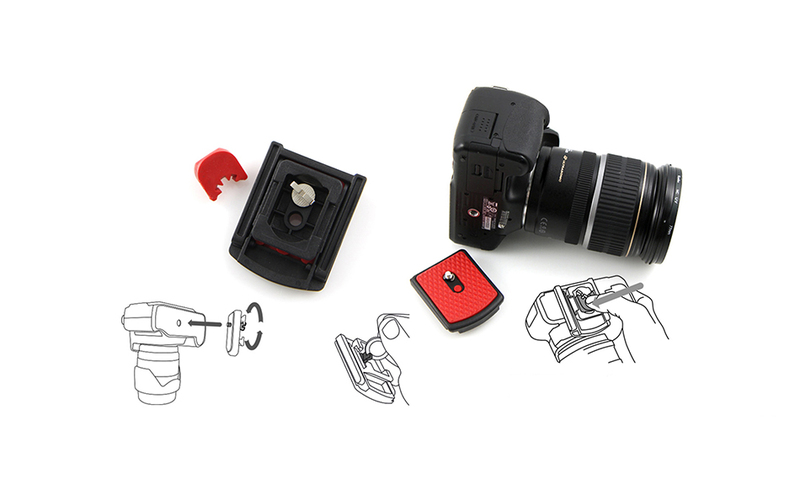 The camera plate for QRP is the most important element of the whole system b-grip. 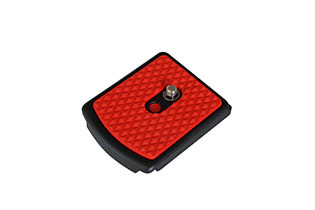 While similar to a common plate for tripod plate for cameras QRP has very specific and innovative technical solutions. The special attention we have paid to the choice of materials ensures maximum strength and lightness. The main body of QRP is composed of a sophisticated plastic polymer loaded with fiber and glass microspheres, a material that, besides having qualities of high resistance, presents a brilliant surface and scratch. The common tripod plates usually have a thin layer of vulcanized rubber glued to the base. Sometimes even the slightest vibration procure screw loosening and dangerous rotation of the camera. In order to avoid accidental fall over , QRP b- grip line is equipped with a thick mat of soft latex slip , which does not slip nor rotates once fixed the camera, ensuring an unparalleled tightness. 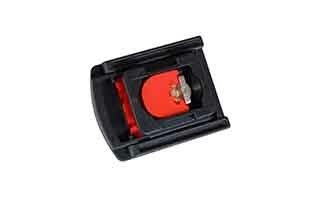 A further element of security is offered by the “Buffer anti-unscrewing”, a rubber block that prevents the unscrewing of the screw from ¼ to vibration that is fixed to the camera. 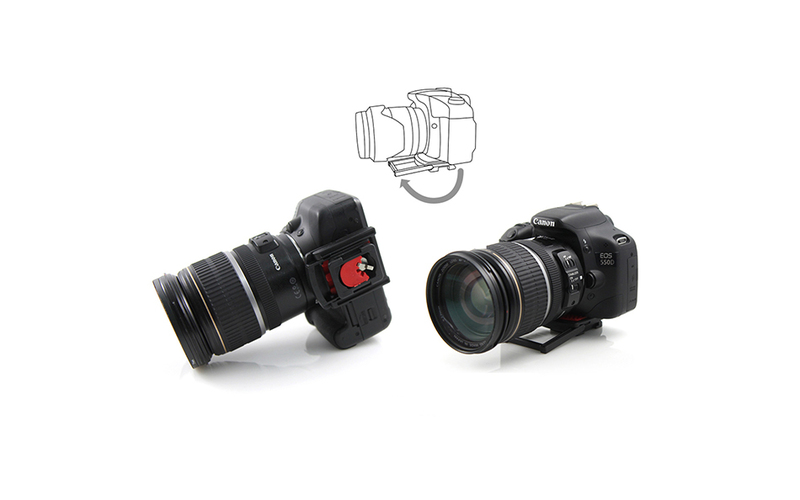 And that’s not all : QRP also has an innovative “arm support” an ingenious solution that allows you to rest the camera on a flat surface guaranteeing a stable position. 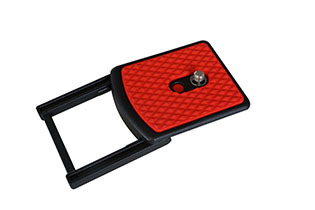 The arm support is particularly useful when you need to store the external camera on rough or dirty . L ‘ ” Hooking on four points ” (ie on each side of the plate ) offers the maximum guarantee seal and makes it impossible unintentional uncoupling .